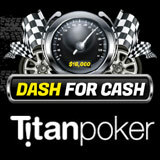 The Dash for Cash Titan Poker promotion is a new weekly leaderboard race that offers players their share of over $16,000 in cash every month. 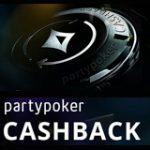 Players can earn leaderboard points by playing cash games or Speed Poker to rank in the weekly leaderboard. Play for more days during the week to boost your activity percentage and earn extra points for the leaderboard. 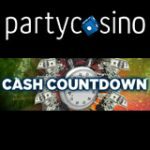 The top 200 players in the Dash for Cash leaderboard will win their share of $4,000 in cash every week. 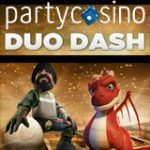 Dash for Cash at Titan Poker every week in the new leaderboard races which cash games and Speed Poker players can win extra cash. 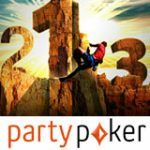 Players are required to opt-in to the promotion every month to participate, earn points to rank in the top 200 positions. Every Titan Point earned is equal to one leaderboard point, players can boost their points by up to 70% by playing on as many days of week. the race weeks run from every Wednesday to Tuesday. Increase your point earning by 10% for each day you participate in the weekly leaderboard race, players can boost up to a maximum of up to 70%. 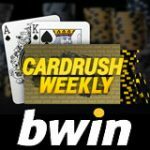 If a player earns a total of 70 points during the race week and only plays for one day of the week they will get 70 points plus 10% extra earning 77 leaderboard points. If a player earns a total of 10 points every day during the race week they will get 70 points plus 70% extra earning 119 leaderboard points. Although both players earned the same amount of Titan Points the Activity Boost makes a huge improvement to your leaderboard position by playing on more days of the week. Leaderboard points can only be earned on the cash games tables or by playing Speed Poker, the fast fold poker game by Titan Poker. Points are only counted after the player leaves the table and could take up to 30 minutes to update on the leaderboard. Players will receive their cash prize within 72 hours of each race week completion. 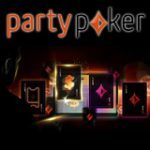 Download Titan Poker - get the biggest online poker bonus for all new players making their first deposit at TitanPoker. The Titan Poker software is available in several languages including: English, French, Italian, German, Spanish, Swedish, Norwegian, Danish, Finnish, Russian, Dutch, Romanian and Portuguese. Remember to use the bonus code at Titan Poker to claim your first deposit bonus of 200% of your deposited amount up to a maximum of $2,000.